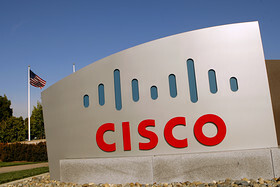 Cisco Systems Chief Executive John Chambers on Thursday reiterated that the company does not collaborate with governments or any organization amid growing worries about the role U.S. tech companies play in government data-gathering operations. "Let's be clear: we do not work with any organization or government in the world to give them access to our products. We do not give them access to our code," Chambers said at the company's analyst day.Last month, Cisco acknowledged that the controversy related to government data-gathering programs being run by the National Security Agency has had some impact on its relations with customers. Chambers had said the impact was "fairly minimal," but another executive said the uproar over privacy and security is "certainly causing people to stop and then rethink decisions. And that is reflected in our results." It was one of the first indications that the controversy involving the NSA was having an impact on U.S. tech companies.